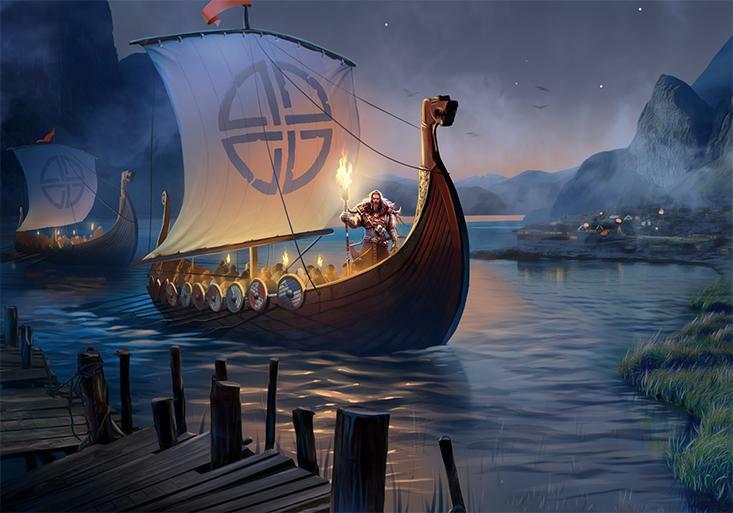 Vikings: War of Clans grants absolute freedom to its players. Here, you can even turn a hopeless situation to your advantage. Observe your Town: Are there any buildings that don't bring you any benefit? Demolish them ruthlessly! Demolish old buildings and erect new ones in their place, feel free to change tactics and strategies. By doing so, you will eventually change from a farmer to an attacker or vice versa. Remember: when a building is demolished, you won't get back the resources spent on its construction and upgrading. Hero's and Shaman's Skill points can be reset by using the Second Chance and Rebirth items. Redistribute the points as you wish and get bonuses that were unavailable before. There are several Shamans in the game and each of them has unique Skills. Summon whichever Shaman best suits your chosen strategy. As you upgrade your Hero and Shamans, you will likely craft many pieces of equipment while trying to settle on your preferred tactics. What should you do with the pieces of equipment you don't need anymore? - You can dismantle equipment. Before doing so, don't forget to remove gems and runes from it (you will need the Diamond Knife and Runic Knife for this). When you dismantle a piece of equipment, you'll acquire one of the materials used in its crafting. - Old equipment can be used to craft something new. Special equipment and Shaman's equipment are crafted from other equipment. Read the crafting requirements carefully and see what equipment you have in your Stock. Perhaps you will be able to craft something useful at a relatively low cost. Are there no resource locations, Ghosts, or Invaders of a suitable level near your Town? Use the Relocation item to place your Town on any point on the Global Map. If you don't like your home Kingdom for some reason, move to another one using the Drakkar item. You will find it in Bank offers. Is your Clan bogged down in quarrels and Kingdom feuds? Don't wait for a savior. Take the situation into your hands! In Vikings: War of Clans, not everything is solved by war. Loyal allies and diplomacy are of tremendous value. Try to find like-minded people who will help you bring your ideas to life. If you still want thrills and excitement, feel free to launch daring attacks and set cunning traps, and your loyal clansmen will help you with this. Finally, millions of users from all over the world play Vikings: War of Clans. We know a lot of cases where virtual communication between Jarls moved offline and was even the basis for close relationships. Use in-game chats and the official Vikings: War of Clans communities on social networks and fortune will smile upon you. No matter how harsh the North is, true Vikings never give up halfway and always see things through. Arm yourself with new knowledge and constantly strive for victory.